Basic Juice - the wine blog for my generation: Hey, NZ! Hold Everything. I've often wondered why New Zealand was anointed/anointed itself as the land of Sauvignon Blanc. To be sure, NZ SB has been quite successful as an import to the US wine market (and certainly names like 'Monkey Bay' don't hurt its mass appeal to the garanimal-wine-loving crowd). However, I think this success has come at a price. Kiwi Blanc has overshadowed every other grape variety. And this is a very sad thing. Villa Maria Riesling 2005 - A remarkable feat of a wine. This Riesling stews together new world heft with teutonic crispness. Am I alone in thinking the OenoKiwis might want to diversify their white wine portfolio? Back in the nineties I drank SB all the time. In the last couple of years I've hardly touched it, preferring the rieslings. The Dry River is my favourite. Certainly, it's well worth seeking out a greater variety of Kiwi wines. You are so right about the other nz wines. On a recent trip to the North Island, we found some really incredible wineries in the Hawks Bay area. From syrahs to pinots, there is way more interest down there than we see back in the states. wines from NZ have great taste! such a really good or wonderful information for me.this site is very well because it work very well,i like it. hmmm,i am totaly igree with you .i hope you will be always post there. All the things that you've been through, the things you have read, heard, dreamed, etc? And is aiming for enlightenment about unlocking everything that is within your unconscious? Is it even possible to do that? Where can I buy NZ Wine gums by the carton in Sydney? I need the Pascall Wine Gums urgently for a conference which starts on Monday. I buy NZ Wine gums by the carton in Sydney? I came to NZ from Hungary, Europe. In a kiwi place I would be proud of the position NZ SB has in the world. I mean even in Europe these wines are known for its better taste than the french rivals -and its nothing but something we all should be proud of. Something similar is with Pinot Noir. 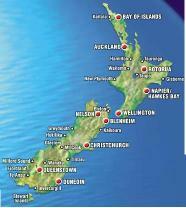 And don't forget that New Zealand discovered its potentials in wine making just 15-20 years ago! Be proud of your very special Sauvignon Blanc and Pinot Noir. Red Wine Resveratrol is a powerful antioxidant found in grapes proven to reduce the risk of heart disease, prevent cancer and relieve the symptoms of diabetes. It can be taken as dietary supplement in the form of a tablet that dissolves in your mouth.